Plannerisms: Worldwide giveaway: French Filofax 2013 weekly inserts! Worldwide giveaway: French Filofax 2013 weekly inserts! This giveaway is now closed. Please see tomorrow's post to see who won! 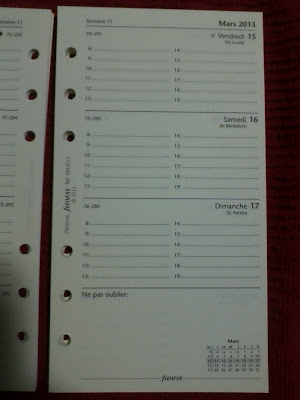 Mstraat is very generously giving away TWO French Filofax week on two pages inserts. 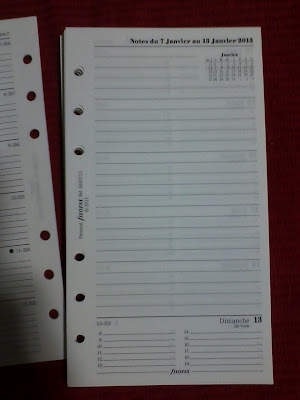 These both fit a personal size Filofax. 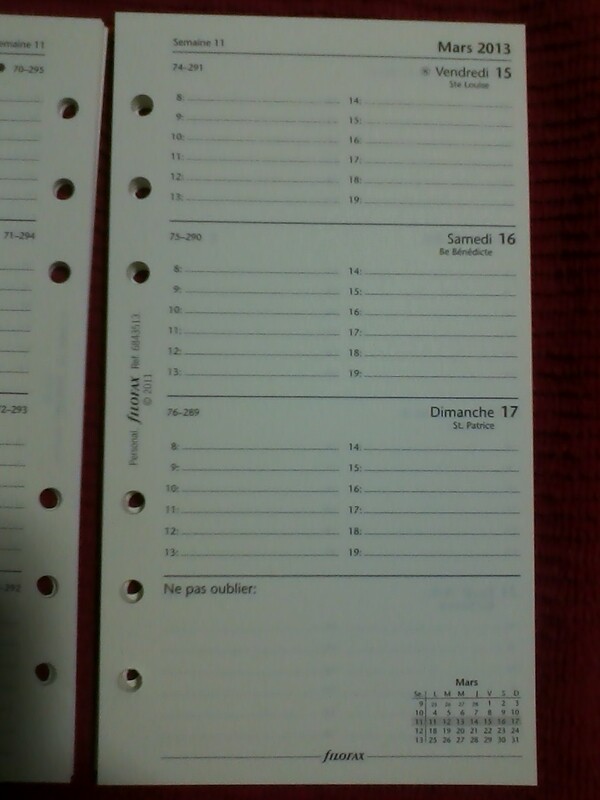 Note that these inserts are from Filofax France, so they are in French—days, months, info pages, etc. Week on one page with notes: white paper, anno planner for 2013 and 2014, hourly times, lined (lines closer spacing on days than on notes page), same size spaces for weekdays and weekends. Also has the usual pages for personal info, holidays, etc. etc. 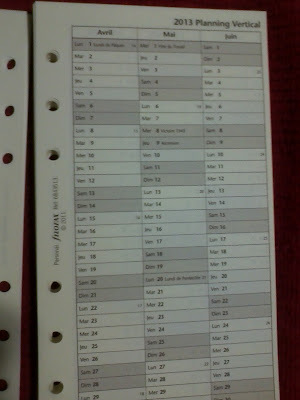 Week on two pages, cotton cream: anno planner for 2013 and 2014, hourly times, lined except in “notes” space, same size spaces for weekdays and weekends. Also has the usual pages for personal info, holidays, etc. etc. The anno planners on these are awesome. They don’t have to be purchased separately but are included, and they are on individual pages rather than a fold out sheet. 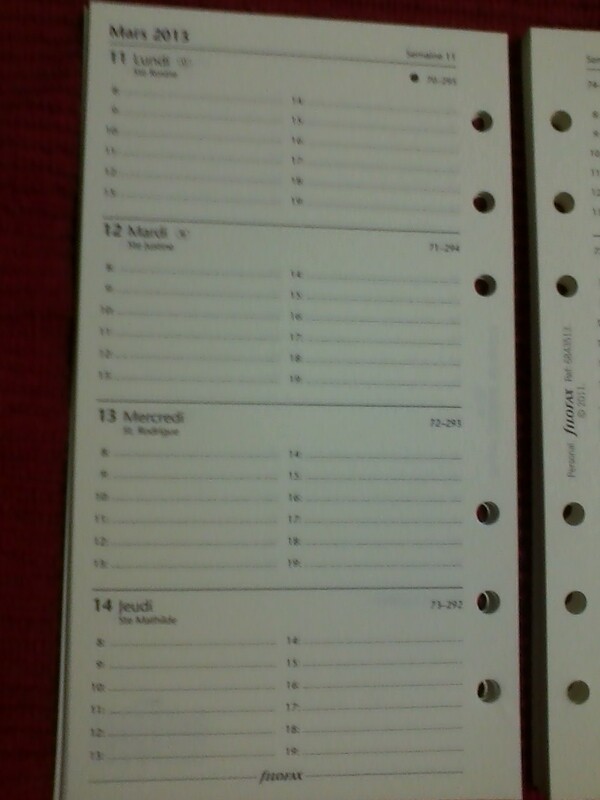 Each page has three months, so two pages covers the year. Enormous thanks to Mstraat for this generous giveaway! She is happy to ship these to anyone, anywhere in the world. 1. To enter, post a comment on this post. 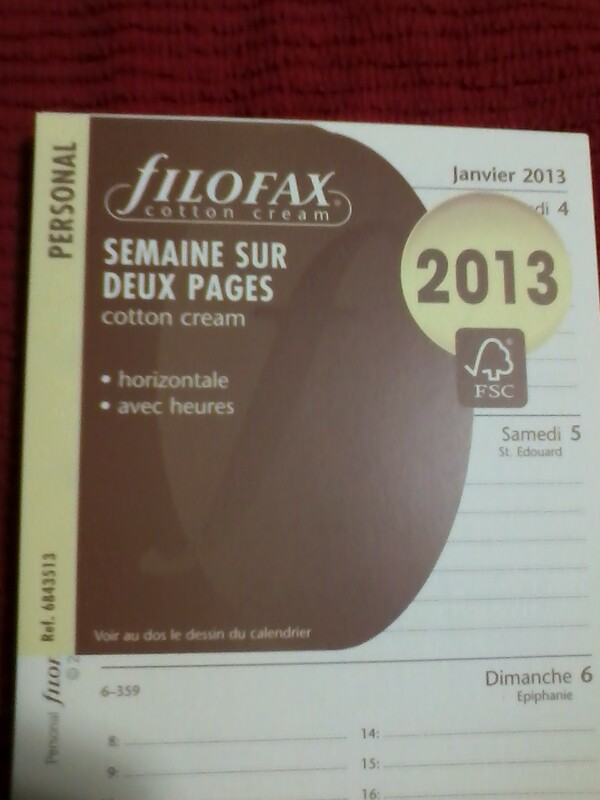 Indicate which insert you want: Week on One Page With Notes, or Cotton Cream Week On Two Pages, or both. Your comment is your entry, only one entry per person. 2. Entries will close at 6 pm London time Sunday March 10. 3. The winners will be generated via Random.org. 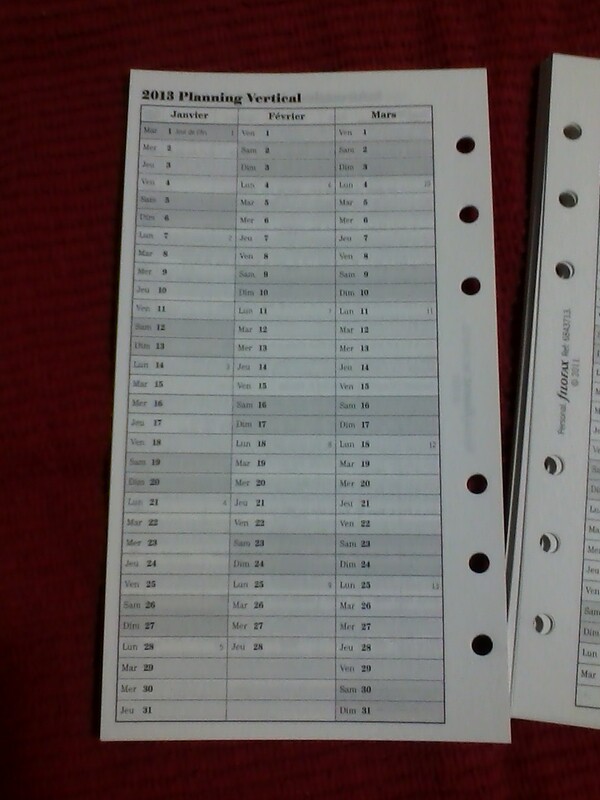 Remember to indicate which insert you want, or both, because the winners will be generated separately for each insert. 4. 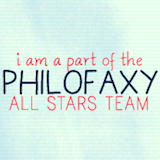 The winners will be posted here on Plannerisms Monday March 11. Check back Monday to see if you won! 5. The winners will email me their mailing addresses by Friday March 15. If a winner hasn't emailed me by Friday I will choose a new winner of that insert. Week on one page plus notes, please. Thanks! I'd love to win the Week on one Page diary! I would loveee to win one of those inserts!! Hi Suus you have to specify, which insert do you want to be entered to win, or both. Either one will be fine with me! Thanks! Hmm both. I am enabling my children into FF's! Week per page, please. Thank you! The week on one page with notes looks excellent. 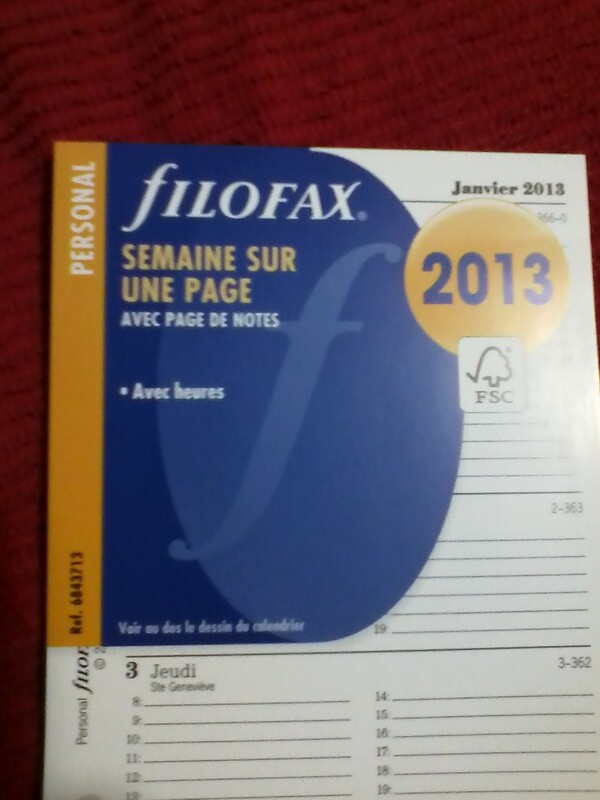 I'm getting back into Filofax after a long time away. 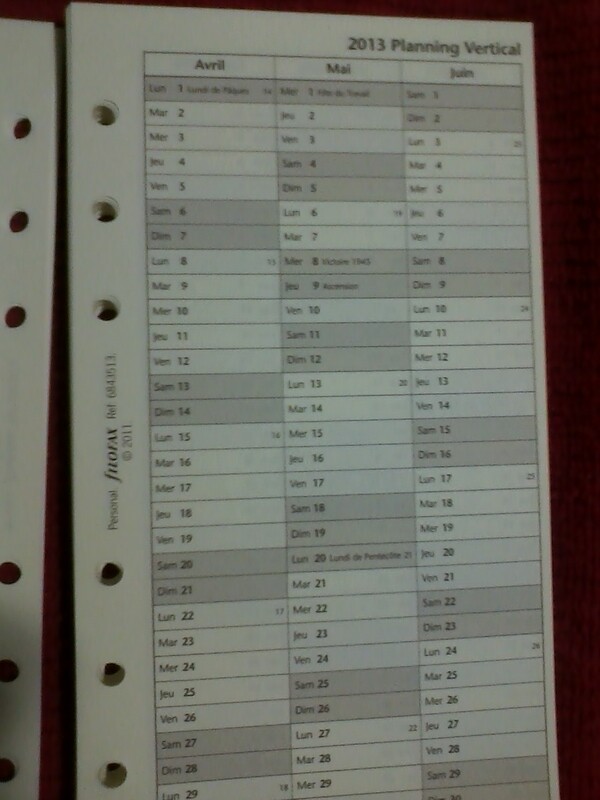 I have lots of inserts, but not a current calendar. I would love to win either of these!! Week on one page with notes! Exciting! Cotton Cream Week on 2 Pages please! Week on one page with notes! Week on two pages please! Diary with lines -awesome! 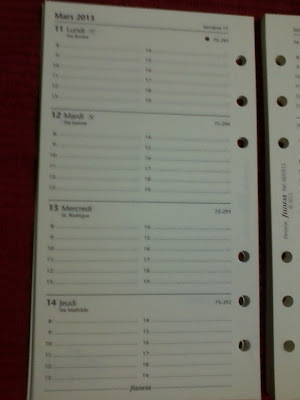 I don't need more planner pages, but it would be fun to have the French pages. Week on one page with notes (that would be a new format for me). Either would be fabulous. Thank you! Please enter me for both, thank you! I'd love the cotton cream! 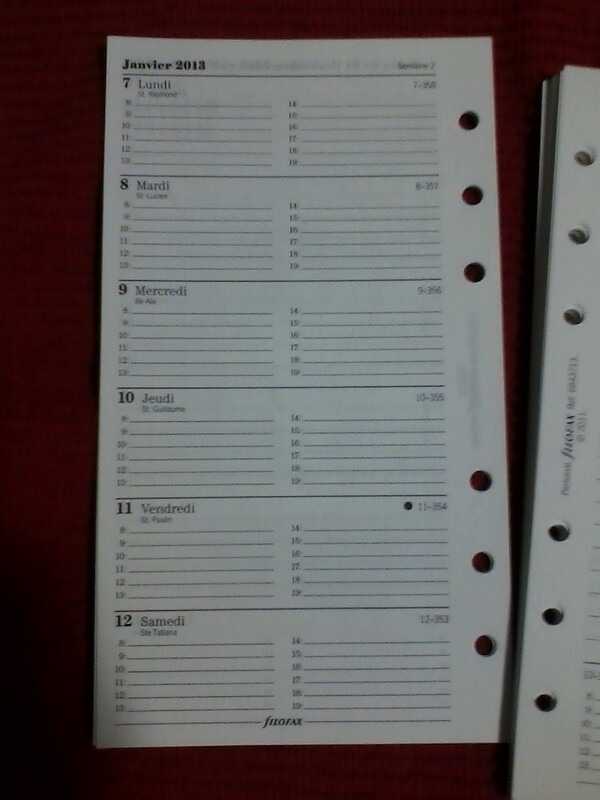 Week on One Page With Notes would be super awesome!! Thank you! Hi mjcox, I'm really sorry but the cutoff time as listed in the rules was 6:00 pm and yours is timed at 6:05. Sorry you just missed it! Entries are now closed. Please see tomorrow's post to see who won!